Who say’s LivingTru com doesn’t like variety? Our next interview comes all the way from the United Kingdom! 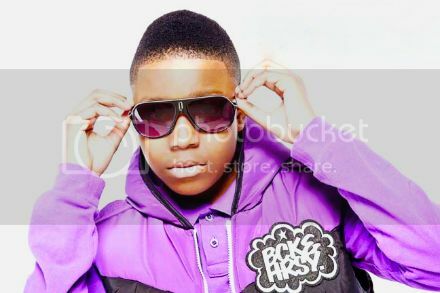 Thirteen-year-old James Anderson is a singer from London, and boy does he pack a powerful voice! With ‘covers’ from Whitney Houston to Beyonce, James is embarking on a trailblazing career. He’s young but he has been in the presence of some very notable and famous people. So, with out too much delay here is his story! Thank you for speaking with us here at LivingTru. Just as with any other artist we feature, I am glad to have you here! Thank you for allowing me to do this interview. I know you are a very busy person right now, so lets get down to it! How long have you been singing and what inspired you to start? I have been singing for as long as I can remember. I am only thirteen, but I enjoy listening to different types of music. My family are very supportive in every way possible. Of course they give me guidance regarding my decisions. As with us all, there has got to be someone who has influenced you. Who are some of your biggest influences in life and in music? My biggest influences in my life are my parents who give me great guidance and encouragement. In music, I would say Michael Jackson and Beyonce. I love their commitment, hard work, determination and I love their style of music. Yes! M. J. and Beyonce are just two of my favorite performers as well. They are two legends past and present. Now, on a spiritual note, do you believe in God? If so, what role does he play in your life and your music as well? Yes I do believe in God and go to church every week . God plays a very important role within my life as I realize that It is God who has blessed me with a very special gift to sing, and I thank Him for allowing me to use my voice to bless others. It’s cool to understand, if not realize, that God is definitely omnipresent and instrumental in everything. At least that’s what I believe. Lol. Now, tell me, whet is your favorite genre of music - who are some your favorite Artists? I love listening to all different types of genre's, but I would say my favorite’s are R&B, Soul, Pop and Gospel. My favorite artists are Beyonce, Michael Jackson, Usher, Justin Bieber, Jessie J and Chris Brown. You can definitely hear the different influences when you sing. It’s awesome. And to admire such an assortment of heavy hitters can do nothing but insure your success. Lol. What advice would you give to another person wishing to pursue a career in music. I would say, follow after your dream and with hard work and determination you can accomplish anything. And, make sure you have fun and enjoy what you do! Photos taken by Dez Mighty. That’s a very encouraging answer for others. It’s good that you can give positive feedback to people like you trying to pursue a dream. This industry can be tough but social media has helped to open the playing field, and that’s a good thing! Lol. What has been your biggest moment thus far? What accomplishment are you most proud of? 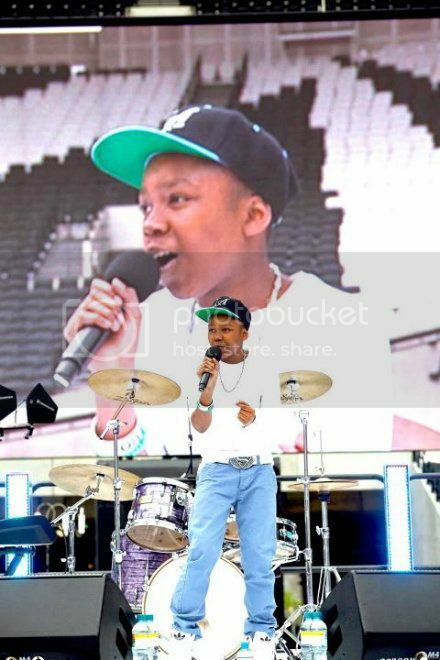 I was the first person EVER to perform on the London Olympic Stage platform in the Olympic Stadium. Although it was not at the Olympic Games, I performed in front of ten thousand people! I also had the privilege to sing at an event in front of former President Bill Clinton, daughter, Chelsea Clinton, Princess Beatrice, and Will-I-am. I managed to get photos with them all at an event that Bill was hosting in London. That was amazing!! Wow, that is amazing! I can only hope to be in front of such dignitaries some day. Lol! No, but seriously, those are some very memorable events for you and I hope there’s more for you in the near future. With that said, do you have any new and exciting projects coming up? Yes. At the moment I am having studio sessions where I am recording some original material that I love and cannot wait to release! So, that’s why its been hard for me to track you down! Lol! I can’t wait to hear your original music. So let us know what’s up! Can you tell me what is your greatest ambition? My greatest ambition is to win Grammy's, get number one albums, number one single's. I would love to be a worldwide artist, that is my dream! Well, you said it in your own words, “follow after your dream and with hard work and determination. . . “ you will get there! So, keep yourself out there sharing your gift with the world James! Watch this amazing cover of Whitney Houston's "I Have Nothing" by James Anderson! Check out this cover of Trey Songz' "Heart Attack" by James Anderson! Be sure to connect with James on his social networks, and subscribe to his Youtube channel!